Board and Staff of the Center for Community Transformation during its Board Retreat. Step Up consulting was contracted by the Center for Community Transformation (CCT) to facilitate its Board Retreat. 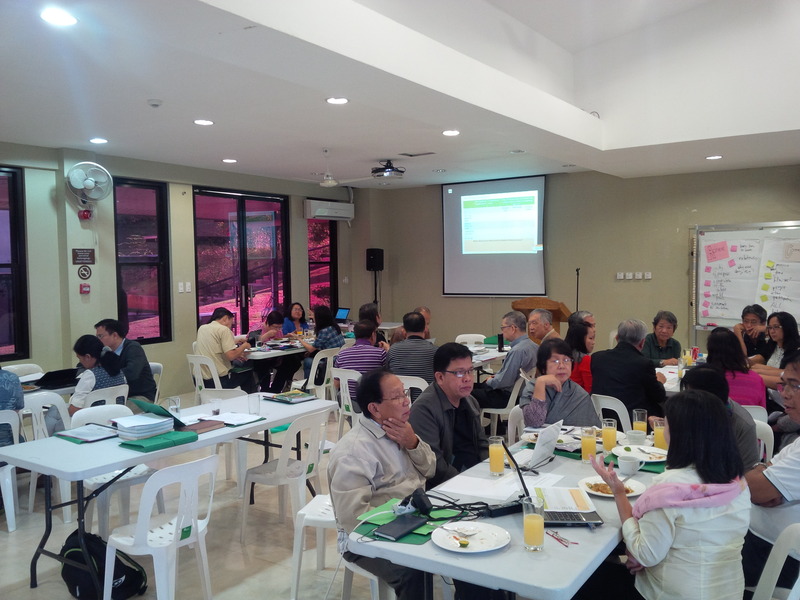 The strategy workshop of the organization was held at the CCT Retreat and Training Center last 21-22 November 2014. The event was attended by around 30 board members of the big CCT Family and approximately 30 members of its senior management. The topic for this year’s board retreat is ‘mentoring’. A resource person provided the overall context of the event, Mr. Peter Lees of Sharpeting Stone (Australia). CCT is an organized Christian response against poverty and social injustice. This is carried out through the fusion of social development initiatives and evangelical mission in a uniquely Filipino context. It serves urban and rural poor communities throughout the Philippines, in pursuit of its desire to see changed lives, strong families, and transformed communities centered on the Lordship of Jesus Christ. From a single organization years back, CCT is now a group of 12 ministries or companies focusing on health, education, skills training, and spiritual transformation. CCT’s board is composed of Christian businessmen who are at the helm key businesses in the country and engaged in property development, pharmaceuticals, car dealership, food and beverage, and retail supermarkets. 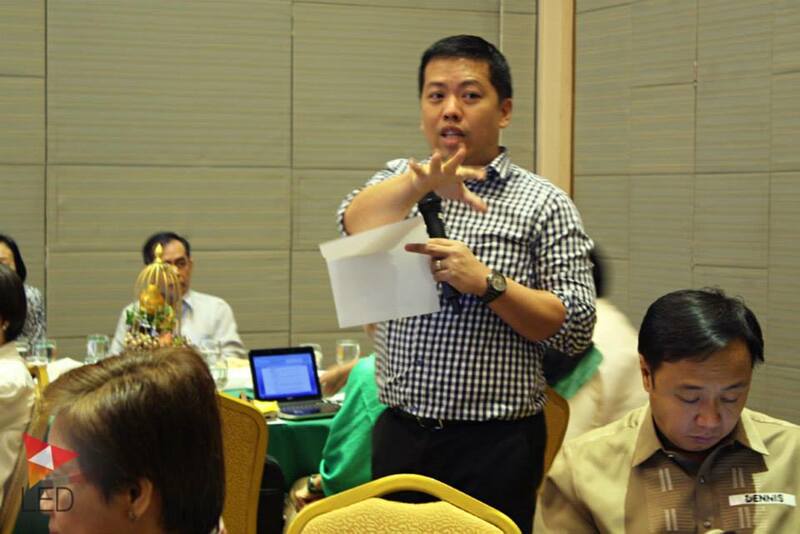 Mr. Canares during a workshop with DILG, program partners, and LED focal persons coming from the 9 participating provinces. Michael Canares, managing consultant of Step Up Consulting, was contracted by the Local Governance Support Program for Local Economic Development (LGSP-LED) to advise on results measurement and reporting processes since September 2013. Currently, Mr. Canares is now on the final phase of the consulting engagement which will culminate with the preparation of a manual on measuring local economic development that local government units can use. “The Local Governance Support Program for Local Economic Development (LGSP-LED) is an eight-year (July 2008-July 2016) CAD $18 million collaborative project of the Canadian International Development Agency (CIDA) and the Philippines. It is implemented by a consortium of the Canadian Urban Institute (CUI) and the Association of Canadian Community Colleges (ACCC) acting as the Canadian Executing Agency (CEA). The CEA is working in partnership with the Philippine Department of Interior and Local Government (DILG). The Program purpose is to reduce poverty by strengthening local governance and supporting sustainable economic development. The Ultimate Outcome is expected to be improved local economic development for Filipino women and men.”(Dorotan and Frick, 2012, page 5). LGSP-LED seeks to improve the measurement and tracking of local-level economic outcomes in the program, in particular those related to impact of the program’s activities on investment attraction, business formation and growth in enterprises (MSMEs). 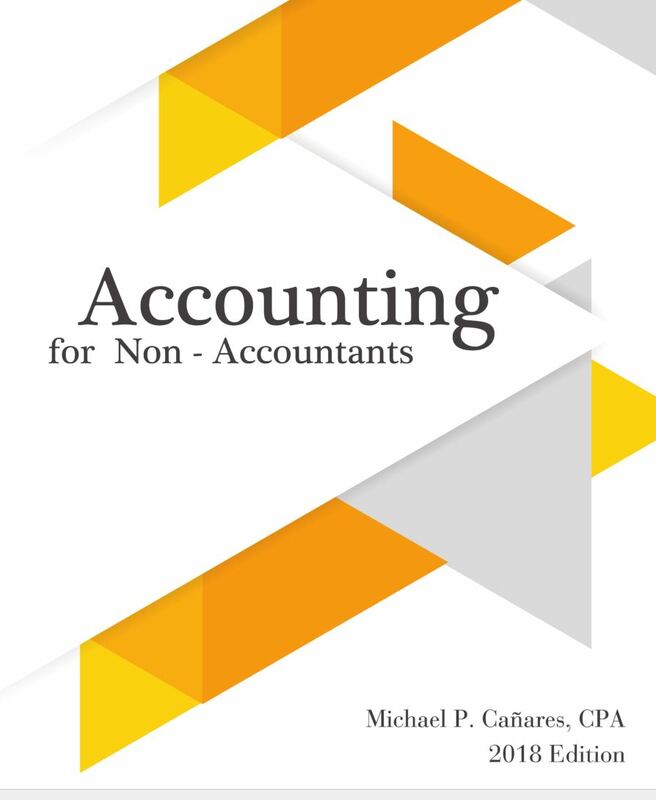 Mr. Canares’ work was to assist the CEA in developing a set of indicators (along with the related methods for collecting baseline data, data sources for ongoing tracking, collection methods, frequency and responsibility) that could be easily tracked by LGUs and/or their private sector partners (chambers of commerce, local business clubs). 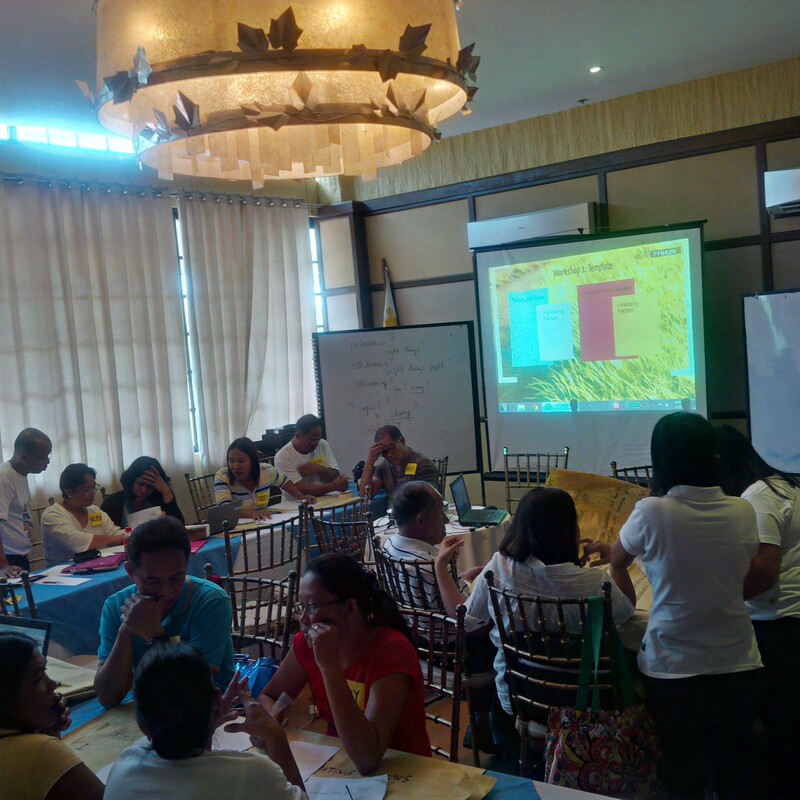 The Provincial Road Management Facility contracted Step Up Consulting to conduct the capacity building activity for the Internal Audit Services Division (IASD) of the Province of Davao del Norte, one of its partner provinces. The engagement was designed to assist the IASD in developing and implementing an Internal Audit Plan for the identified road rehabilitation and maintenance systems and processes in order to come up with an Internal Audit report with doable and useful recommendations. Step Up Consulting team was composed of Managing Consultant Michael Canares, resource person Marilou Bueno, and documenter Cleofe Ambulo. As a result of the engagement the IASD was able to plan, implement, write and present the audit report on one of the key risks in local road management to the risk owner, the Provincial Engineering Office. IASD was also able to craft a simple audit recommendations monitoring system to ensure that auditees will comply with audit recommendations and improved internal control processes in their daily operations. One of the activities of the mentoring process was an international online course on internal audit where four of the IASD staff members were enrolled in. After the course, the auditors completed an online assessment where two of the staff members got a 100% rating in the examinations. Step Up made use of a mentoring-focused approach where capacity development needs were assessed on a regular basis so that interventions designed will be able to sufficiently meet competency gaps and produce the desired outputs. 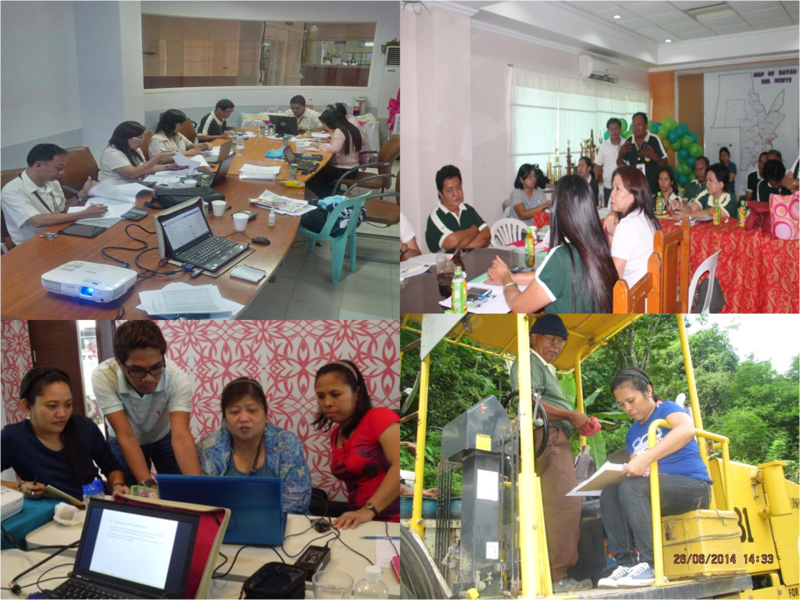 The engagement was conducted in April to June 2014 with a mixture of on-site and on-line mentoring. This was also the first time that Step Up used Facebook as an online-mentoring tool where mentees can directly ask questions from mentors and where files are shared and outputs are submitted and commented on. IASD staff members appreciated the whole mentoring approach and the engagement was rated very satisfactory by the participants. Mr Canares with some of the members of the Philippine delegation together with Ambassador Aguinaldo and Maria Ressa of Rappler. Michael Canares, managing consultant of Step Up consulting is one of the representatives in the recent conference on Open Government Partnership held in Nusa Dua, Bali, Indonesia on May 6-7 2014. The theme of the conference was “Unlocking Innovative Openness: Impetus to Greater Citizen Engagement“. The two-day event was opened with the plenary address of Indonesian President Susilo Bambang Yudhoyono in front of more than 500 delegates from across Asia-Pacific and the world. 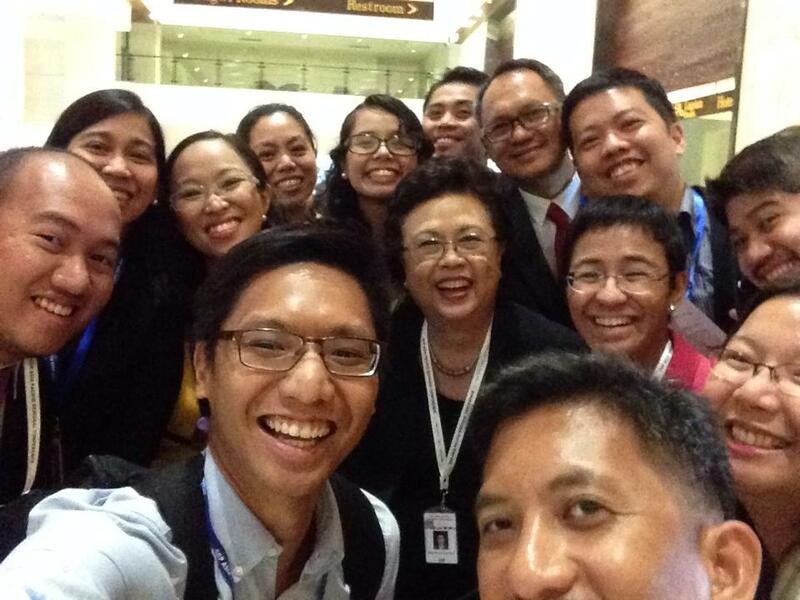 Mr. Canares is one of the 30 Filipinos from government, academia, media, and civil society, who were invited to attend the high-level conference. The conference discussed on the innovations, opportunities, limitations, and challenges of open government in the region. Mr. Canares was the self-appointed rapporteur of the Open Data Research Network, a network of researchers on open data where Step Up Consulting is a member. During the course of the conference, he wrote two blog posts that were featured in the Open Government Partnership and cited in several articles on open governance and transparency. The links to the posts on the Open Government Partnership website can be found here. These posts originally appeared in the Open Data Research Network website. 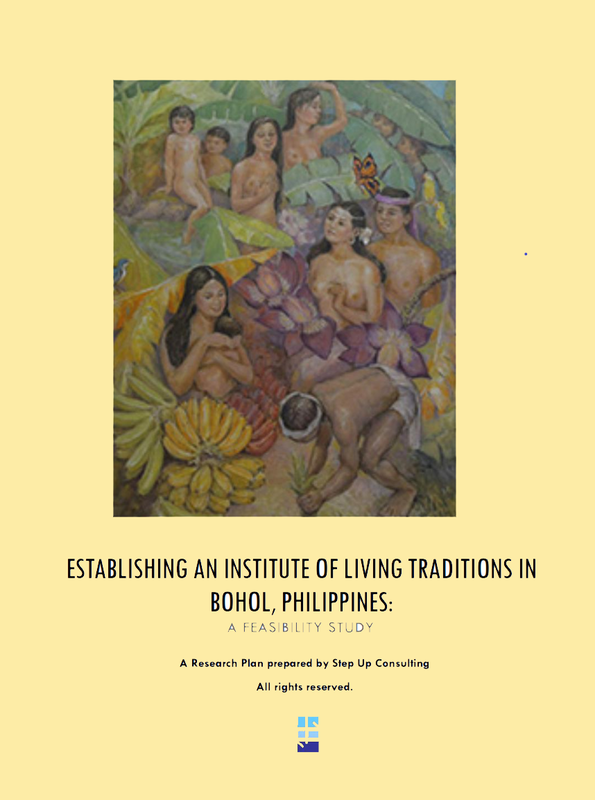 Step Up Consulting Services was contracted by the Ilog Kinderhome Foundation, a partner of Kindernothilfe (Germany) in implementing an EU-funded “Empowering Indigenous Peoples for Inclusive Development” Project (EIPID Project), to conduct its sustainability planning workshop. The project ends this year and thus the need to craft a hand-over strategy to the different EIPID partners. The project is implemented in the province of Antique, more particularly the towns of Lauan, Valderrama, Tobias Fornier, Anini-y, and Hamtic. The goal of the project is to empower the Iraynon-Bukidnon and the Ati households and communities so that they can proactive engage in local development processes. To date, the organization was able to assist more 800 IP households through the self-help approach – where they save, engage in business, and undertake social/community action activities. It resulted to positive changes more particularly to mothers and their children in terms of capacity to care and participate in local governance processes, and in terms of education and health, respectively. 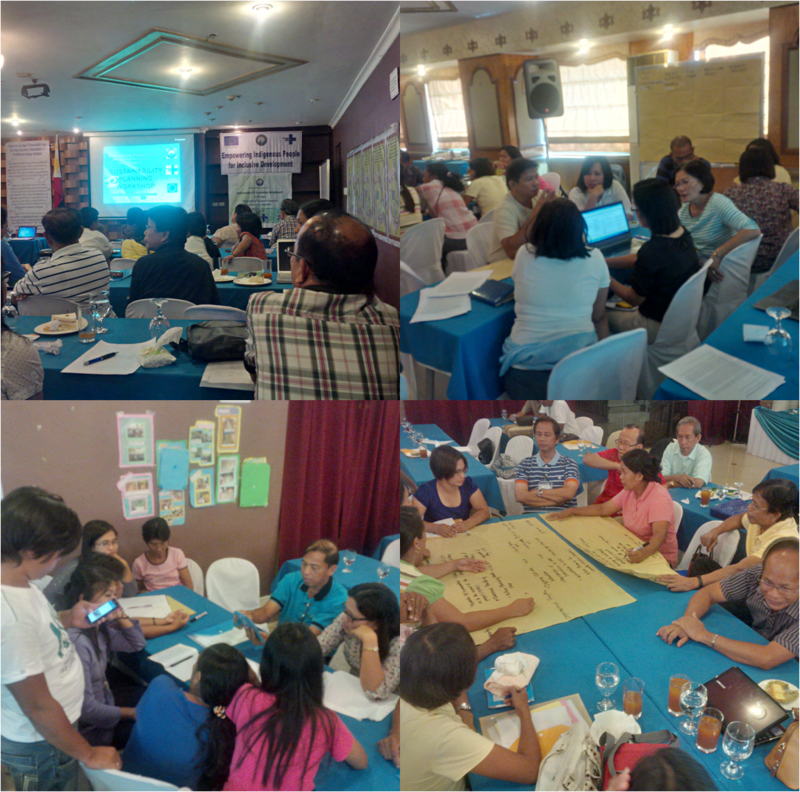 The Sustainability Planning Workshop was held in Iloilo Business Hotel last 24-25 April, 2014. It was attended by the members of the Board of Directors of Ilog Kinderhome Foundation, KNH representative in the Philippines, provincial officials of the Province of Antique, representatives from national government agencies as TESDA, DILG, and NCIP. Step Up Consulting planned and facilitated the two-day event. Step Up Consulting Services is one of the five finalists at the U4 Proxy Competition launched by the U4 Anti-Corruption Resource Center based in Bergen, Norway. Mr. Michael Canares, Managing Consultant of the firm, presented his idea in front of scholars, aid agency representatives, and students, of how corruption at the local level can be measured using locally-generated tax and fees as a proxy indicator. 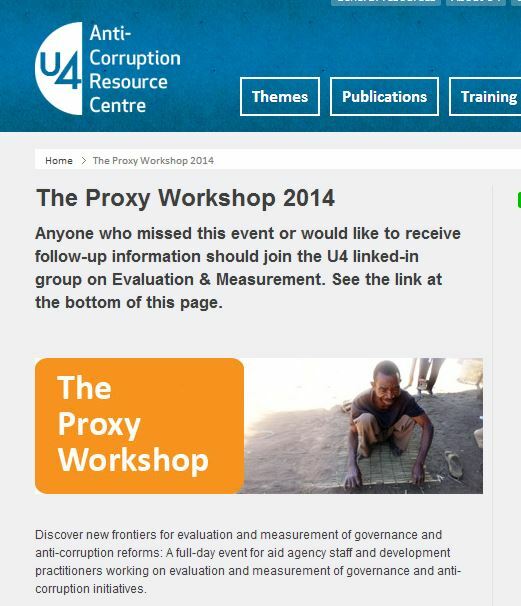 U4 is one of the leading think tanks focusing in anti-corruption. It concentrates its efforts in assisting donor practitioners to address corruption challenges more effectively through their development support. The centre is operated by the Chr. Michelsen Institute – an independent centre for research on international development and policy – and is funded by AusAID (Australia), BTC (Belgium), CIDA (Canada), DFID (UK), GIZ (Germany), Norad (Norway), Sida (Sweden) and The Ministry for Foreign Affairs of Finland. The proxy challenge competition was launched last year “to address the perennial problem of assessing whether anti-corruption efforts are successful. “The Proxy Challenge” calls for greater use of bespoke proxy indicators. To assemble a body of promising ideas, U4 selected 5 finalists coming from development practitioners, monitoring and evaluation professionals, and researchers and convened these researchers in Bergen to present their work. The five finalists were (1)Integrity Action; (2) Bernard Gauthier (HEC Montréal), Frédéric Lesné (CERDI), Joël Cariolle (CERDI); (3) Mihály Fazekas (University of Cambridge and Corruption Research Centre); (4) Joël Cariolle (CERDI), Frédéric Lesné (CERDI), Elise S. Brezis; and Michael Canares (Step Up Consulting). Mihaly Fazekas was the winner of the competition. Michael Canares said that having been selected as one of the five finalists was already an honour in itself. In his presentation, he thanked the panel for giving him the opportunity to present his idea. Mr. Canares is the only presenter and finalist coming from the global south.